The thought of being traded was strange for Valtteri Filppula, who had never been a part of a swap over his 12-year NHL career. Filppula spoke with a former Detroit teammate, and another Finn, who both spoke glowingly of the Philadelphia Flyers organization as he compiled a 16-team list of destinations. Earlier this month, Valtteri Filppula had returned home from his team’s morning skate and turned on the television. He was going to relax, watch a program or two and take a nap before preparing for the Tampa Bay Lightning’s home game against the Carolina Hurricanes. Then, Filppula’s mobile phone rang. On the line was Lightning general manager Steve Yzerman. “Philadelphia, the Flyers,” came the answer. Yzerman thanked his former Detroit Red Wings teammate (they only played one game together on April 8, 2006 in Yzerman’s final season) for his contribution to the Lightning’s cause in three-and-a-half seasons. When Yzerman became Tampa Bay’s GM he signed Filppula to a five-year contract as an unrestricted free agent in July 2013. He scored a career-high 25 goals in his first season with the Lightning and went to the Stanley Cup final in his second year with Tampa Bay. Filppula has packed in plenty in his career. He won a Stanley Cup with the 2007-08 Detroit Red Wings and went to the final the next season. He has played in two world junior championships for Finland, the 2010 Olympics in Vancouver, the 2012 World championship and scored Finland’s lone goal in the World Cup of Hockey last September. Still, the thought of being traded was strange for Filppula, who will turn 33 on Monday. It was something he had never experienced in his 12-year NHL career. 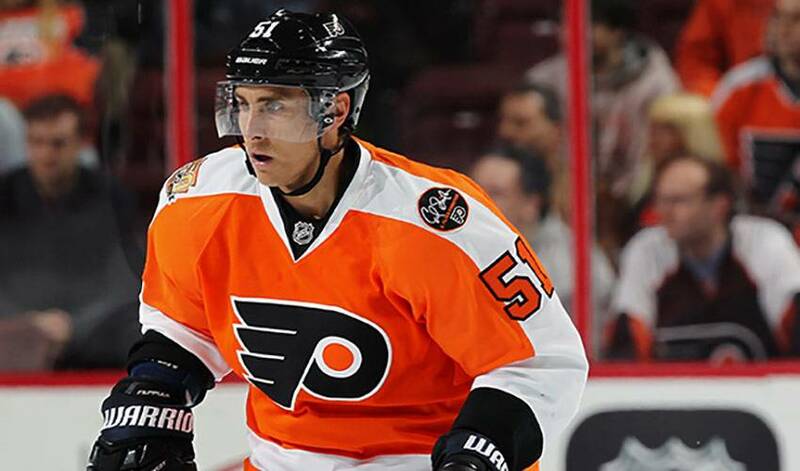 He was traded to Flyers along with a fourth-round draft pick in exchange for defenceman Mark Streit and a conditional seventh-round selection. Yzerman then flipped Streit to the Pittsburgh Penguins for a fourth-round choice in the 2018 draft. Filppula was not surprised about the development on trade deadline day. Yzerman had asked him a few days earlier if he would accept a trade to the Toronto Maple Leafs because the Lightning GM wanted to include his Finnish forward in a deal that would send fourth-line centre Brian Boyle to Toronto. But Filppula turned down the chance to play for his old coach Mike Babcock and the Maple Leafs. Last summer, he carefully did his homework and compiled a 16-team list of destinations he would welcome a trade to. Toronto was not on that list. “I had made a list earlier and just decided to stick with the list,” Filppula said. “I think everything at the trade deadline comes at you really quick. When you [make a list in the summer] you have a little bit more time to think about things. Philadelphia was on the list because his former Detroit teammate Ville Leino spoke glowingly of living in the city of Brotherly Love and the Flyers organization as did another Finn, former Flyers defenceman Kimmo Timonen. 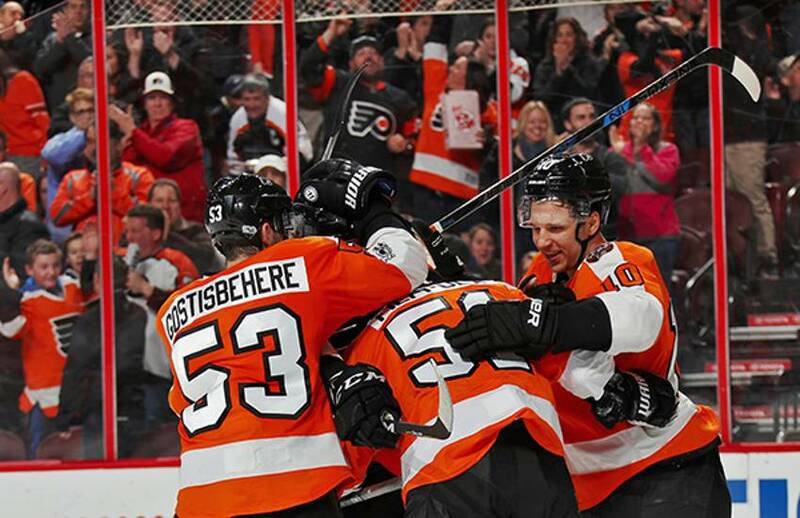 Timonen still resides in the Philadelphia area and Filppula took that as a good sign. Meanwhile, Filppula made an immediate impact with the Flyers, playing on a line with Jacob Vorachek and Brayden Schenn. Filppula scored the game-tying goal midway through the third period of a 2-1 shootout win against the Florida Panthers to earn third star honours. But the Flyers, who are chasing a playoff spot, have gone a middling 2-3-1 since the trade deadline. It will be up to Filppula and his new teammates to turn around their year in the final month of the regular season.